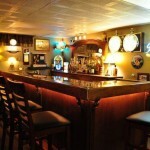 Before you even start a home bar project, you want to envision the final installation as completely as possible. Other than available budget, there is little else to hold you back from adding elaborate wood carvings and appliques to your bar and bar back. You don’t necessarily need advanced woodworking skills, just deep pockets. If you don’t know a Corbel from a Corkscrew, this article will enlighten you! 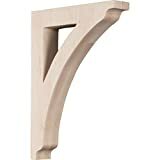 The addition of Corbels and Arches can add extra flair to your project. Once the core of you bar is completed, you can begin on the custom trim out of your project. This can involve simple boards and molding to create a raise panel effect or to add columns and dividers to your bar front. In the photo at left, we can see these techniques in action. For design ideas, check out our article on using the Golden Ratio to space raised panel trim for best visual appeal. Adding a simple “column” trim board to your edges or divide points (midway or otherwise) is easy enough. Adding a few plunge grooves with your router simply requires a jig and a fence to allow for evenly spaced grooves. The icing on the cake is the addition of a corbel, which is basically an ornately carved wooden protrusion which appear to hold up the projecting bar section that supports the arm rail. They look really cool, but this is where the deep pockets come in. Don’t over do it though. 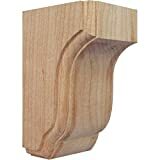 Corbels are rather expensive because they require hours of CNC machine time to produce. 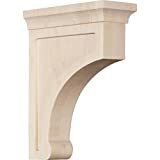 Watch the video below to see a corbel is made. 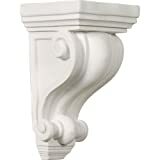 Here are a few corbels you can purchase online. 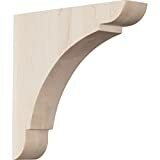 Arches can be made easily with a pattern, a jig saw, a router and steady hand. Our upcoming designs will feature more arch options. To be honest, even if i`m a student architect I`ve never considered Corbels into my design but it seems to be a small yet effective aspect. 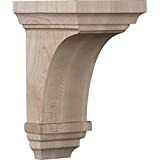 Corbels and extra trim can be added to your bar at any time!